Humans haven’t set foot on the moon in decades, but that could change soon. The first step in that process is to learn more about so-called “in-situ” resource management. Mining materials on the moon could aid future manned missions, and the European Space Agency (ESA) aims to begin testing mining technologies on the moon with a 2025 robotic mission. The ESA has signed a contract with ArianeGroup to launch the mission, which is still in the early planning stages. The company is currently developing a next-generation heavy-lift rocket called the Ariane 6. A four-engine variant of that rocket will have enough power to reach the moon with substantial payloads. ArianeGroup plans to launch this vehicle for the first time next year. The proposed ESA launches would start before the 2025 mining mission gets underway. The unmanned mission will investigate what resources we can expect to extract from lunar regolith. 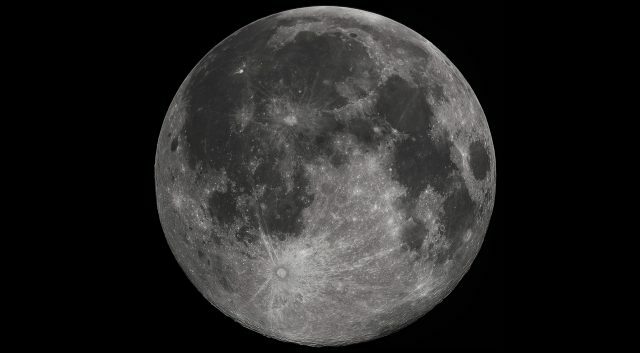 Almost none of the moon’s surface is exposed — the dusty regolith covers the surface to a depth of about 12 feet (3.65 meters) with the exception for the odd lava tube or crater wall. In some areas, it can be up to 16 feet (about 5 meters) thick. Scientists hope that regolith will serve as a source of building material and water. Water is useful not only for keeping astronauts alive (both for drinking and breathable oxygen) but for manufacturing rocket fuel on the moon. We know there are places on the surface with water ice deposits, but it would be much easier if we could just get ice from scooping up regolith. It’s not as simple as feeding lunar soil into a machine and waiting for useful materials to come out. Separating the useful elements won’t necessarily be easy in a low-gravity environment, and there’s a lot we still don’t know about the effects of regolith on machinery. The abrasive nature of lunar dust could damage mining equipment or erode protective coatings on spacecraft. The health effects of regolith are also unclear, but we know it’s more chemically reactive than dust on Earth. Astronauts who breathe small amounts of it over time could end up with respiratory or neurological disease. Ideally, a robotic mining operation would land on the moon in advance of any human travelers. When people arrive, the robots could already have a cache of materials for them to use. That makes launches less expensive and complex because we wouldn’t have to drag as much mass out of Earth’s gravity well. There’s a lot of work to get done before that happens, though.